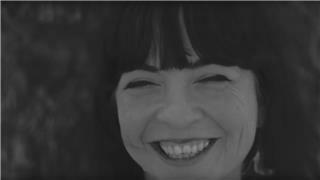 Whispertown is the indie project of Morgan Nagler from Los Angeles, California, formerly known as The Whispertown 2000. They have toured with several prominent indie artists in the past few years, including Bright Eyes, Rilo Kiley, Jenny Lewis, The Breeders, She & Him, Maria Taylor, Johnathan Rice, Margot & the Nuclear So and So's and The Elected. A native of Oregon who grew up in Los Angeles, Nagler met and befriended fellow former child actor, Blake Sennett, in the mid-1990s. Soon after he and Jenny Lewis formed the band Rilo Kiley in 1998, Nagler also began writing songs and singing. 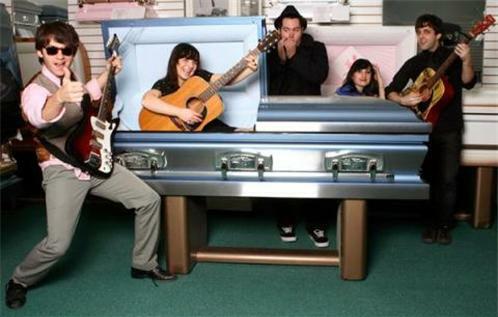 In 2004, Nagler performed her songs before a live audience (with help from friend Tod Adrian Wisenbaker) as the opening act for The Elected (Blake Sennett's side project from Rilo Kiley). At that time, she referred to herself as Vagtown2000. Nagler credits Sennett and Lewis for giving her the support to record and perform her own songs. In 2005, Nagler and Wisenbaker changed the name of their group to Whispertown 2000 and asked Corbala and Maloney to join. During the fall 2006 tour, Casey Wisenbaker (Tod's brother) also joined the band. Maloney parted ways with the band in 2007. Their debut album, Livin' in a Dream was finished in 2006 and is available online and at their shows. Their album was produced by Blake Sennett and Jimmy Tamborello (of Dntel and The Postal Service). Additional performers include Jenny Lewis, Blake Sennett, and Johnathan Rice. On October 21, 2008, the band released their second full-length album, Swim on Acony Records. Along with this new release, the official name of the band changed to The Whispertown 2000. Additional performers include Jenny Lewis, Gillian Welch and David Rawlings. On March 20, 2012 Nagler released the EP "Parallel" under the name Whispertown. "Parallel" was her second release on Acony Records. The EP was recorded and mixed by Andy LeMaster (of Bright Eyes), co-produced by Jake Bellows (of Neva Dinova), and executive produced by David Rawlings. Nagler worked as a child actor, appearing on the shows Punky Brewster and The Fresh Prince of Bel-Air. Nagler recently wrapped the movie Pleased To Meet Me, starring Aimee Mann, John Doe (musician), Loudon Wainwright III and Joe Henry. The film is due out in 2013.